Never miss a file anymore, monitor multiple inputs. Easily configure automatic printing or email replies. Detailed logging messages for each channel to quickly spot problems. 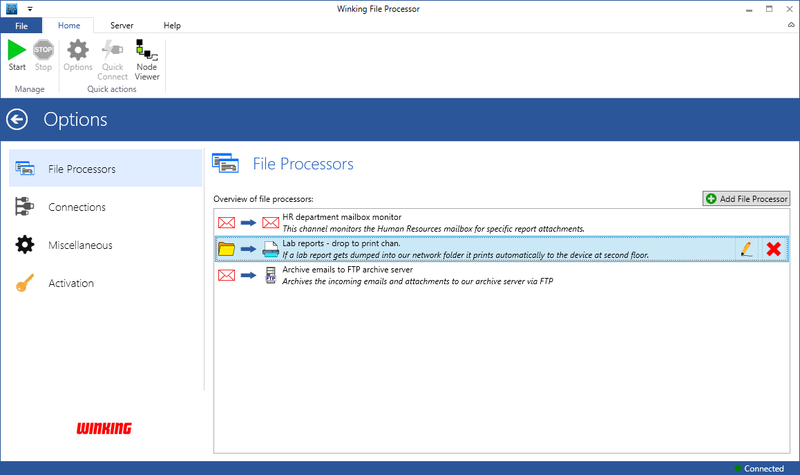 Each file processor can easily be configured, even with complex filter rules. Filter the incoming data to only process the files that you need. Based on the selected input your filter will provide the matching properties to filter on. An intuitive design that feels familiar to known office applications. All options and actions are well-organized and clearly displayed. The most common options can be configured and accessed at one location. File Processor is available for Windows only. Download now to install the application! Other folder watcher only give you the option to monitor folders. File Processor has multiple input and output connectors to let you decide what to monitor. Often you only need to process certain files. File Processor comes with a dynamic filter per input to select the files you need. 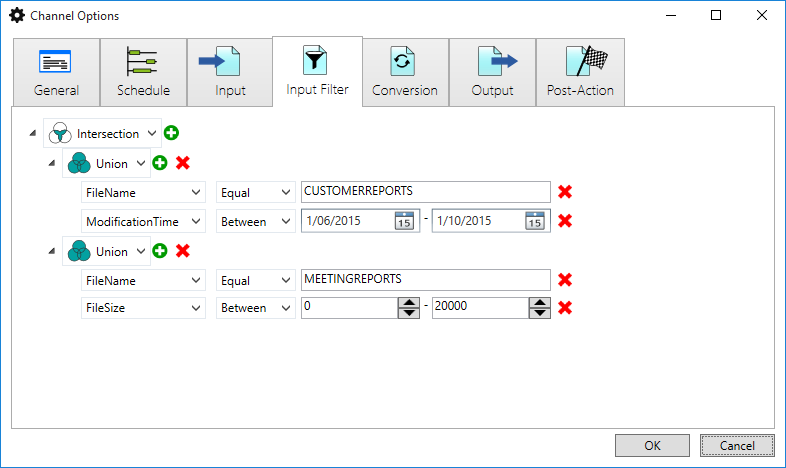 Combine, invert and group multiple filters in an easy to configure user interface. Complex filtering rules can be added by using regular expressions. Tired of switching remote desktop connections and logging on to different servers? Don't worry about it, we have you covered. The File Processor comes with a single viewer which allows you to connect to different services and servers. All controls at your fingertips without leaving the viewer. Multiple users can also remotely connect to the same File Processor service on a server. You love to see everything at once, don't you? The File Processor comes with an interactive overview to see everything at a glance on one screen. Quickly access configuration settings from your the main screen without having to struggle and searching secret hidden dialogs. 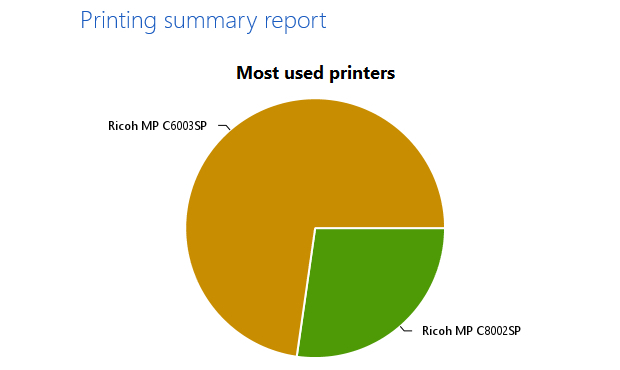 Which printer is used the most? When do we print the most? How many color printouts were made? 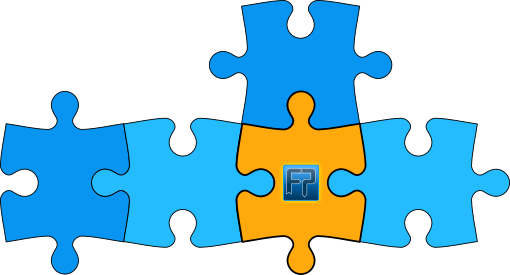 The File Processor seamlessly integrates in your existing environment. No need to modify your other software, just install File Processor on your servers and you are ready to go. Many IT administrators love this easy to use software. This is why we made additional powerful options available based on your feedback to convert files and execute post-actions. Hope you enjoy it even more! 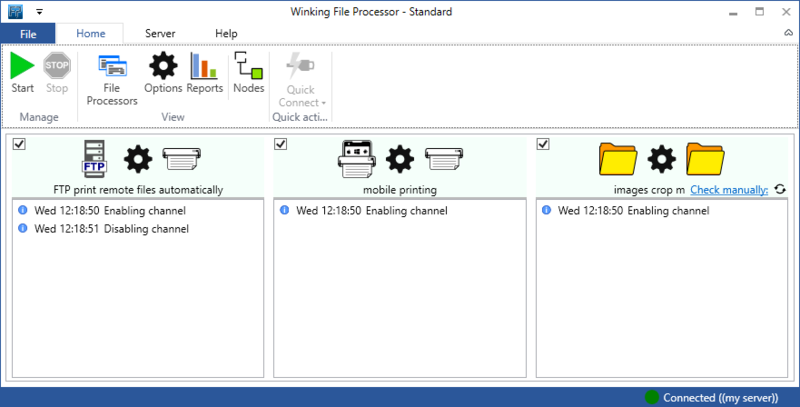 Do you also want to integrate the File Processor with your existing Print&Share workflow? Don't worry, we know both products in detail to optimize your document workflows. Do you like what you have seen and would you like to try the File Processor? Go directly to the download page and start optimizing your workflow!